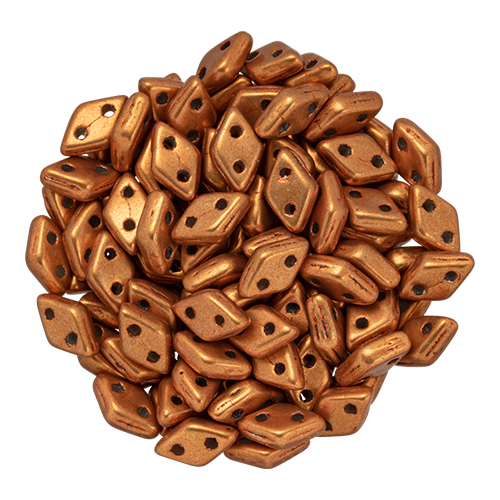 We welcome the new addition to our wholesale bead catalog since 1/2/2019 of Item CzechMates Diamond 4x6.5mm (loose) : ColorTrends: Saturated Metallic Russet Orange (PB398-46-06B06) is in the Pressed Beads category. You can find similar items on the CzechMates Diamond Bead 4x6.5mm (loose) group page. As with all of our beads this item is manufactured to be the highest quality and would be a great addition to your bead store. We sell this item to stores by the Kilo, and it is 0 in size.